Back in the early 2000s, something was brewing. 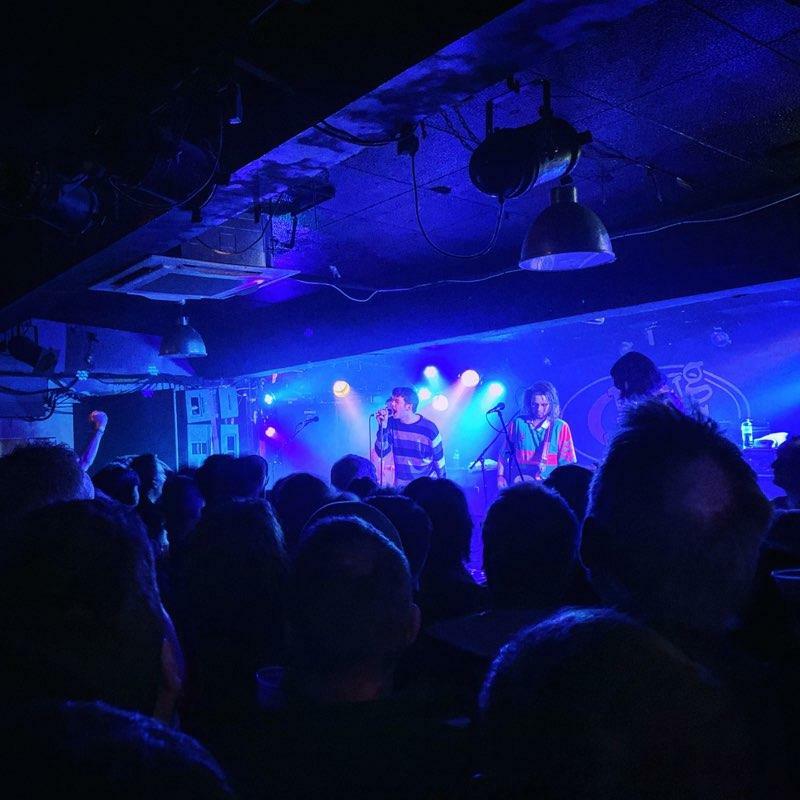 An Indie punk scene was emerging and bands such as The Libertines were playing intimate shows to young and old who were coming together in small sweat filled rooms. Venues like King Tuts, were the places these crowds met. The bands brought an energy, a passion and lots of angry excitement. In the year that have passed, music hasnt had a band to champion that has this effect. Years later, Slaves, Idles and now FONTAINES D.C. are bringing this raw punk energy back to the venues! An excited crowd of all ages were anticipating their new punk heroes arriving on stage, the band did not disappoint. They played pretty much all the hits from ‘Dogrel’ which is out now. Most sang back the words to their new Irish heroes! ‘Too Real’ drew the first of the crowd surfers, there were many! A really catchy sng along anthem. ‘Dublin City Sky’ has a nod to The Pogues, whilst the BIG finish with ‘I’m gonna be Big!’ Draws a frenzy from the crowd. “We don’t do encores!” And why should they? Catch them back in Glasgow at SWG3 on the 21st November. There is always a buzz on the first full night of Celtic Connections. Ahead of two weeks choc-a-bloc full of events, you can feel the excitement in the air as everyone is fully prepared to immerse themselves into a non-stop musical extravaganza. British synth-pop band Blancmange recently announed a UK tour to promote their latest album Wanderlust. Their dates included the likes of Leeds, Norwich, Newcastle, Edinburgh and of course, Glasgow.